Dozens of "cold-stunned," dead turtles have been washing onto the shores of Massachusetts after Thanksgiving Day saw record-setting low temperatures in the Northeast. More than 80 turtles were brought into the Massachusetts Audubon Society’s Wellfleet Bay Wildlife Sanctuary "frozen solid" on Friday, Jenette Kerr, the sanctuary's communications coordinator, told the Cape Cod Times. Most of the turtles were dead, and Kerr blamed high winds and the "drastic change in weather overnight" for their demise. Temperatures in the areas near Cape Cod Bay dropped from lows in the high 30s on Wednesday to lows around 19 degrees on Thursday, while a gale warning was in effect on the coast of Massachusetts, forecasts showed. 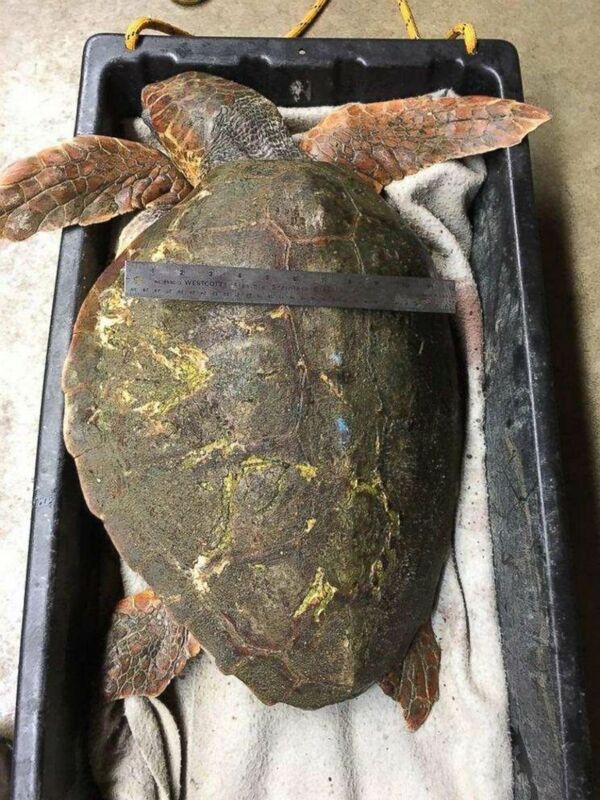 Out of more than 400 cold-stunned turtles that have been brought into the sanctuary this year, only 87 have been alive, Kerr told the local newspaper. Dozens of turtles have been washing up on the shores of Massachusetts due to low temperatures and high winds. Stranding season — when tropical turtles become stranded in the bay's frigid waters and their metabolisms shut down — usually spans from Thanksgiving to Christmas, according to the Cape Cod Times. The winds then push the immobile reptiles to shore, where they are likely killed by the cold air and wind chills. The sanctuary has been taking in cold-stunned sea turtles since Nov. 11, according to posts on its Facebook page. The sanctuary has been in "overdrive" ever since to process the turtles and send them to the New England Aquarium in Boston for life-saving care. One of the first cold-stunned turtles to wash up when the temperatures dropped, a 300-pound leatherback sea turtle, could not be saved, the sanctuary wrote. Most of the turtles have come from areas where the bay is the most shallow and the water is colder, including the towns of Brewster, Eastham and Orleans. The beaches have also frozen, which makes it difficult for the turtles to walk, Kerr told the Cape Cod Times. The turtles in the deeper parts of the bay, where the water is a bit warmer, are likely cold-stunned but alive, Kerr said. Kerr discouraged well-meaning volunteers from trying to save the turtles, as the beaches are dangerous now that they're icing.